Modern American politics have become flooded with money, most of it aimed at supporting candidates and promoting interest groups’ goals. In the 2012 election cycle alone, individuals, corporations, and lobbying groups have invested over a billion dollars in swaying the results of the election in their favor. Unfortunately, in addition to the volume of money in politics, there are many groups which are spending money that are not legally required to disclose their donors, even to the government. A political donation by corporations and many individuals is not an act of civic charity, but a concrete investment in their economic interests. Once politicians become dependent upon a steady stream of money to fund their campaigns (and compete with other highly-funded campaigns), those who donate money gain leverage over the political process. If the politician doesn’t do the bidding of the funder, the funder can simply withdraw their funds, or even give it to the opposition. By hooking politicians on money, corporate interests are able to compel the government to lower their tax rates, reduce regulations, give out contracts, preserve subsidies, and generally look after the interests of specific corporate groups. Rich individuals become able compel politicians to reduce their tax rates, implement social policy that agrees with them, and sometimes even change the laws of the land to legalize illegal activity. As there are few limits to political donations, and most entities that donate to politics have an agenda, disclosure of this money is absolutely vital. If we don’t know who is donating money to our politicians—thus having some influence over them—there is no way to truly trust the politicians’ actions. While the sheer volume of money in politics is dangerous enough to the integrity of our democracy, the use of untraceable “dark money” through the 501(c)(4) loophole is arguably more dangerous. A 501(c)(4) group (so named after its location in the tax code) is a nonprofit organization that is intended to exist to “promote the social welfare”. These organizations are classified as non-political, and their donor lists are shielded from disclosure to the government. Originally, this tax status was created to allow nonprofit organizations which work towards helping improve the social welfare and educate the population, not become involved in politics; 501(c)(4) groups are allowed to spend money in politics, but the majority of their spending must be used to perform other functions, and they cannot formally endorse political candidates. As there is no concrete definition of “social welfare”, nor are there strong limits on what the groups can focus their “educational” efforts on, this tax status has created an ideal haven for political interest groups. Due to the lax regulations on what 501(c)(4) groups are allowed to do, as well as the fact that money donated to these groups is not disclosed to anybody, political interest groups have utilized this non-profit status to facilitate anonymous political work. Such political organizations claim to be nonprofit “social welfare” organizations, but they exist solely to push a political agenda or support a partisan narrative. While they aren’t allowed to overtly support candidates, they are allowed to attack or support policies (ex. tax cuts, deregulation, etc.) 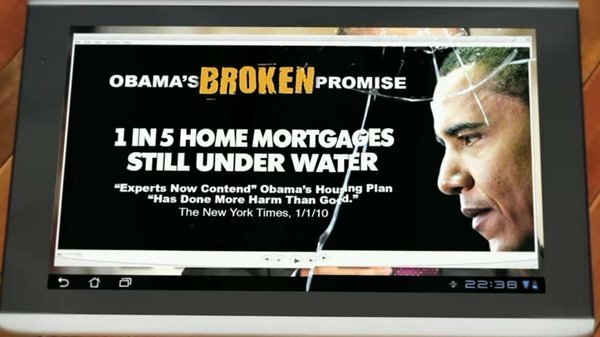 and can run ads which attack the credibility of political candidates’ policies (and thus their candidacies). Through the loophole created by the 501(c)(4) tax status, interest groups are able to run completely anonymous campaigns that attack those who support policies that they dislike and spread disinformation to the public. The largest, and most powerful, of these groups today is Karl Rove’s “Crossroads GPS” organization. By classifying its slurry of anti-Democrat ads as “issue advocacy” and its corporate advocacy as “educational” material, Crossroads GPS has perverted the idea of a social welfare group beyond recognition. During the 2012 fiscal year alone, Crossroads GPS has spent nearly $42 million on advertising—most of it in attack ads against Democrats. Nobody, not even the Federal Elections Commission, knows who donated these millions or what their potential motives were for donating such large amounts of money. If the donors to political campaigns are undisclosed, even to the government, nothing prevents groups that should not be donating to politics from gaining influence over our politicians. Without disclosure requirements, foreign governments, criminal organizations, and even terrorist groups are able to get their foot in the door of American politics. For example: If China wants to ensure that the USA doesn’t call them out on their currency manipulation, they can simply donate money to a 501(c)(4) group (or have somebody start one) that is aimed at making the issue politically impalatable. The 501(c)(4) loophole creates a situation where any entity with money is able gain significant political power, regardless of whether it would normally be legal for them to become involved in politics. The lack of disclosure for 501(c)(4) not only allows those who want to anonymously invest money in politics to do so, but also prevents regulators from ever determining whether or not these donations were legal. When Americans view a political advertisement run by a 501(c)(4) group, they must ask themselves “Who bought the political propaganda that I just saw?” Was it a foreign government attempting to manipulate American foreign policy? Was it a terrorist group attempting to get itself taken off of the terrorist group list (as MEK just did)? Was it a criminal enterprise trying to support a political candidate who would help them avoid investigation? Given these questions, can anybody really argue that this loophole should exist within our political system?